When I’m feeling stressed, I think of my happy place. 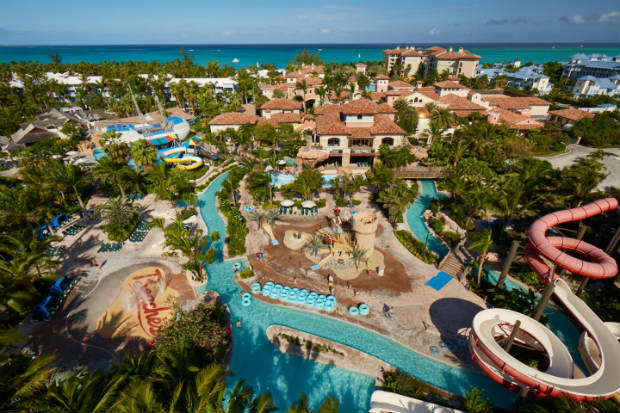 Sure, it’s my home and with all my favourite people, but it’s also Beaches Resort in Turks & Caicos. It’s on a string of islands in the Caribbean, about a four-hour plane ride from Toronto. A sprawling all-inclusive resort with every activity you could imagine, it actually feels intimate. I recently went back to this beautiful resort and I fell in love, once again, with everything Beaches has to offer. The minute you arrive at Beaches (it’s just 10 minutes from the airport), you’re treated to a welcome cocktail (and huge smiles from the staff!). And the accommodation is second to none. It’s the best I’ve experienced in the all-inclusive category. You can choose to stay in one of four themed villages—French, Italian, Caribbean and Key West. Each has family-friendly suites and their own distinct architecture and flavour. Some have separate kids’ rooms and others have butler service. There are a ton of activities for every age, from tots to teens. (You’ll need a good two weeks to experience everything.) 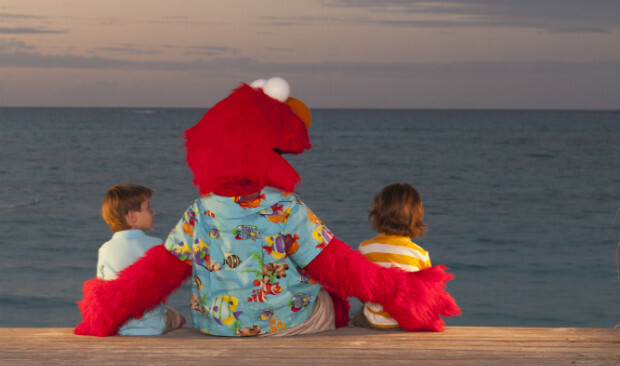 Sesame Street characters walk the resort and are a wonderful touch for little ones. 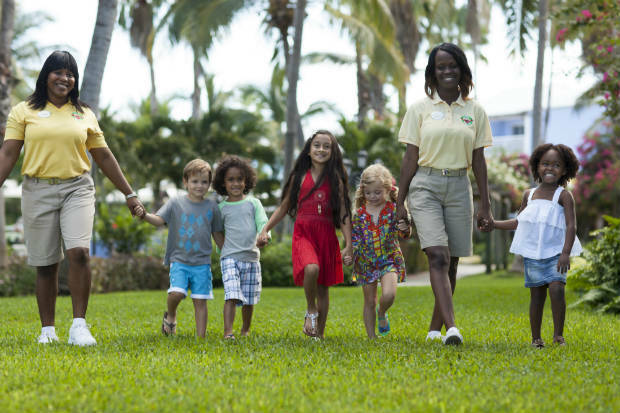 Treat your kids to a Sesame breakfast, Storytime with Elmo, cookie baking with Cookie Monster and let them roam in the 45,000-square-foot waterpark (the largest in the Caribbean) with a lazy river, surf simulator and waterslides. An Xbox Play Lounge and a teen disco called Club Liquid are all part of the fun for kids and big kids alike. The resort boasts one of the world’s best beaches with unlimited access to wakeboarding, kayaks, stand-up paddle boarding, sailing, snorkeling and scuba diving—all at no charge, so be sure to experience all of the resort as you play across the entire property. Oh, and did I mention the food? The resort has 21 restaurants to choose from, plus two new permanent food trucks (kids will love the Mr. Mac food truck located in the waterpark where the cheesiest of mac and cheeses can be found!). A word about the child programs: Camp Sesame (0 to 4 years) and Kids Camp (5 to 10 years) offer a variety of different camps based on a child's interests and development. The child-to-staff ratios are excellent and the Beaches counsellors and nannies are child development specialists. Your kids will have a blast and you will feel secure. With the kids happily doing their own thing, it’s your free time to enjoy the Red Lane Spa, one of the two gyms, or head off to the beach to read the book you promised yourself you’d read six months ago. In the evening, the family unites for dinner and an after-dinner show at the large outdoor open-air theatre. Great entertainment for all ages. Insider tip: I’ve gone back to Beaches Resort in Turks & Caicos again and again so I know my way around. Here are a few thoughts that I can share. Lounge availability: Unlike other resorts, you don’t have to get up early to grab a towel to hold your chaise lounge by the pool or beach. Sleep in. There are loads of lounges on the beach and poolside because Beaches has six pools. Reservations: Of the 21 restaurants and food trucks, the only reservation needed is at Kimono’s as it’s a dinner and a show with playful chefs (it’s always in demand). As for all the other restaurants, just head over when you feel like eating. There’s never a lineup. Snacking: For a latte and something sweet between meals, head to Café de Paris in the French Village. Adult pool: There’s a pool reserved for adults in the Key West village. It’s secluded but worth the find. 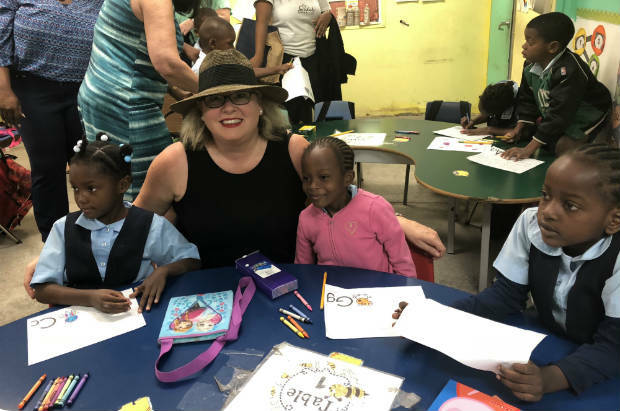 Back to school: Participate in the Sandals Foundation Reading Road Trip. It’s a unique opportunity to engage with local kids. You hop a school bus and visit a local school and read to a small group of kids. The school is very close to the resort (about five minutes away). Be sure to bring a few books either gently used or new so you can contribute to the school library. Enjoy: Beaches will quickly become your happy place, as it has mine.